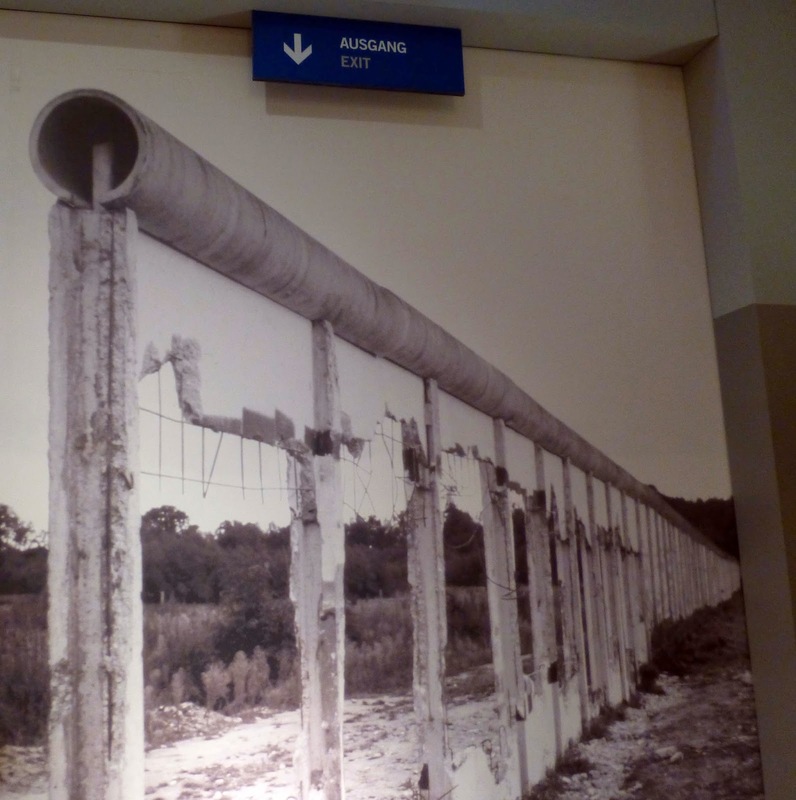 I grew up during the Cold War and knew little of everyday life behind the Iron Curtain. Information was hard to come by as propaganda dominated the Soviet block. And the American press was happy to report of only hard times suffered by Eastern Europeans. Yet, life went on - citizens worked, students were educated, couples married, and families vacationed. Today, with photos, facts and displays, a wonderful, small museum in Berlin chronicles every day life under communism to the amazement of its many visitors. On display at the DDR Museum was the most famous consumer product in East Germany. The tiny 4 passenger Trabant had a two-stroke, two cylinder engine and used a plastic called auroplast to make the car lighter. It was jokingly referred to as a “plastic racer” but could reach 60 mph. The next joke concerned the length of time needed to take delivery of the car. One should order the Trabant when the baby is born so that he/she will have a car when she leaves home for college. In truth, this was not far off as the average wait was 16 years. Drivers traveled with their own spare parts as they were expected to provide those to any auto repair shop. It is ironic that America’s cars are just now using plastic in construction but our purpose is to improve gas mileage, not to cheapen the product. 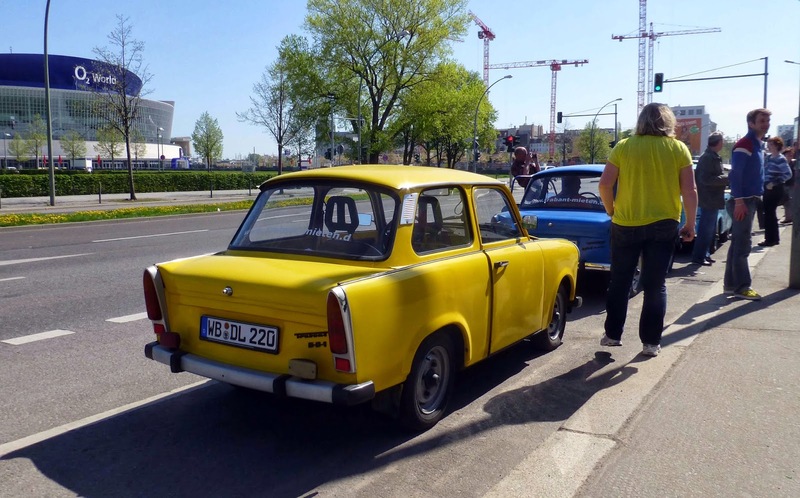 An innovate entrepreneur in Berlin used our fascination with this car to collect and pain Trabants, and now rents them to tourists. One pulled up in front of us at the East Side Gallery portion of the remaining Berlin Wall. It was loud and barely held the two Americans inside. With a farmer father, I was particularly interested in the agricultural collectivization and proud the East German farmers did not capitulate easily to communal farms. The government tried to entice them to join farm coops by providing seeds and modern machines. When that failed, the army arrived to arrest resisting farmers and secure the transfer. By 1960, collectivization was complete. On our farm in Plainview in that same year, my father was experimenting with growing potatoes, carrots, cabbage and onions in addition to the traditional wheat and cotton. His farm was among the many American farms that were so efficient, Russia had to buy wheat from us in 1972. 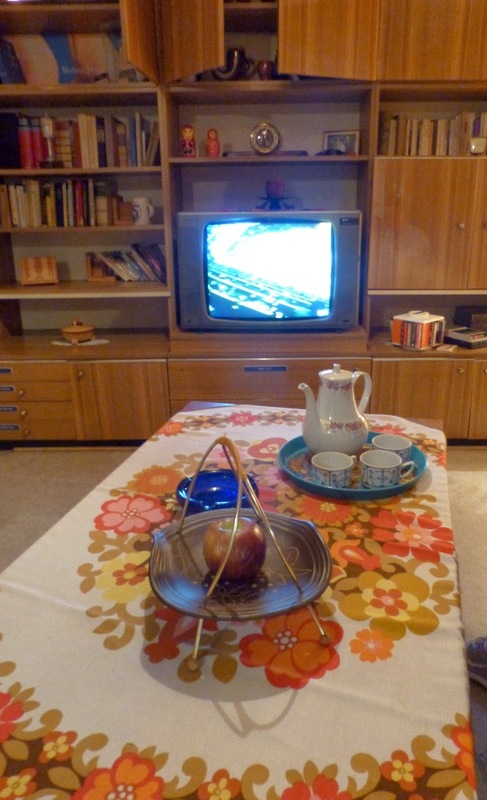 Inside East German homes in 1971, only 8% had telephones and 36% had toilets. I thought this a misprint. Yet, 18 years later in 1989 when the Berlin Wall fell, just 16% had telephones and 76% had toilets. The government provided cheap food and prefab housing (an eleven story building could be built in 110 days) but no coffee. To enhance this basic existence, East Germans became the biggest drinkers in the world. In a year, an average person drank 286 bottles of beer and 23 bottles of schnapps, at a time when there were no purity laws for the beer. A typical living room was displayed and truthfully, it didn’t appear so different than the 50's style I grew up with. Because the government chose the style, nothing changed in the next 40 years. At first glance, there appeared to be a healthy number of media outlets - 39 newspapers, two TV channels and four radio stations but the government briefed the editors daily on what could be reported. Music on the radio stations and nightclubs had to play 60% bands from East Germany and its socialist neighbors. Discos circumvented this by playing only a fraction of the East German song before playing Western music. The youth listened to rock and roll in churches even though the Stasi (State Security Police) took pictures of them exiting the church. 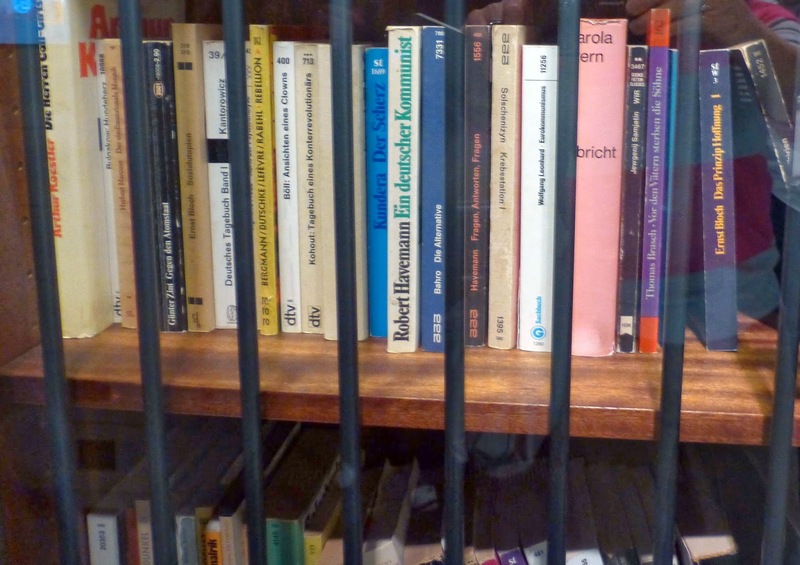 The museum had an interrogation room and listening devices that the Stasi used on their citizens. East Germany also made extensive use of citizens spying on their neighbors, resulting in 250,000 political prisoners over the years. These were later “ransomed” to West Germany. Some interesting details included a mass nudist movement in the country with much skinny dipping, explained as one of the few ways East Germans could freely express themselves. Young children had communal potty breaks at which none could leave until all were finished. Pictures of tanks and soldiers were used to teach math. Women were encouraged to have babies, enticed by free child care, credits on debt and generous maternity leave. Travel was limited to the Eastern Block countries. Russian was the second language taught. The government decided what clothes were fashionable and could be worn. And, there was a frank acknowledgment of steroid use on athletes in the 1970's. Exiting the museum, one stood in front of a large photo of the Berlin Wall. For a brief moment, I held my breath as I waited for the automatic doors to open. We then walked into the booming Berlin of today. What a contrast. The air somehow felt freer. Alice L. Walton is the 8th richest person in the United States, having inherited a great deal of Wal-Mart stock from her father, Sam Walton. Divorced, with no children, she splits time between her ranch outside of Ft. Worth, Texas and Bentonville, Arkansas. 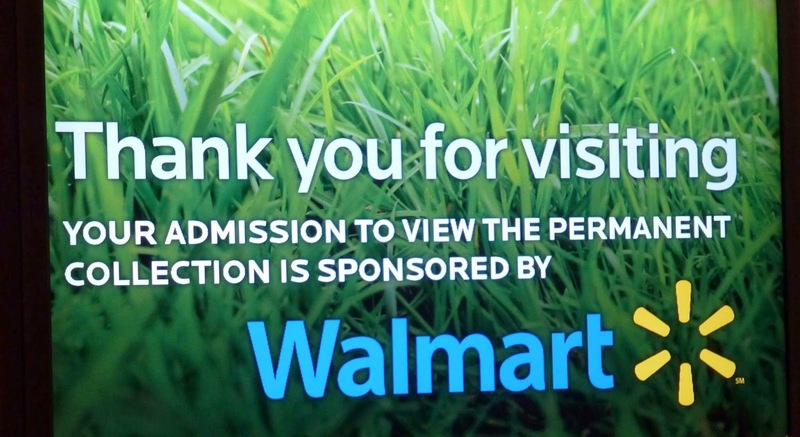 Most visitors to Bentonville have business with the corporate home office of Wal-Mart - second largest corporation in the world. 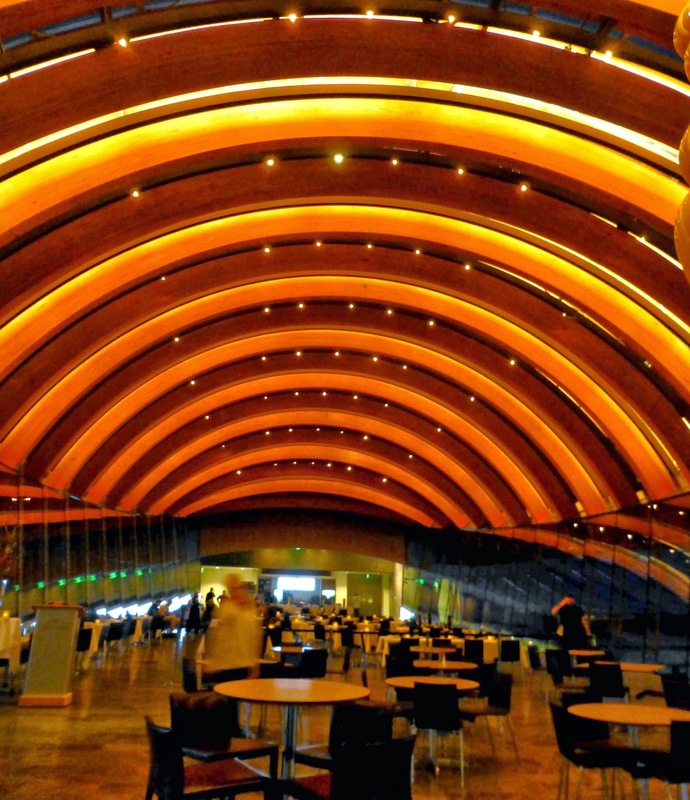 But with the opening of the Crystal Bridges Museum two years ago, Alice Walton wanted to add another purpose to that journey and she succeeded beautifully. I began hearing of this museum from friends and the press. All wondered how such a first class art museum could land in a town of 38,284 inhabitants. The answer lies with Alice Walton, who used to paint with her mother on childhood camping trips, beginning a life-long love and collection of water color paintings. There’s something about being a multi-billionaire that causes one to consider their legacy. America has been blessed with Carnegie libraries and Rockefeller Foundation grants. Following in this tradition is Walton’s desire to build an accessible art museum featuring American Art. 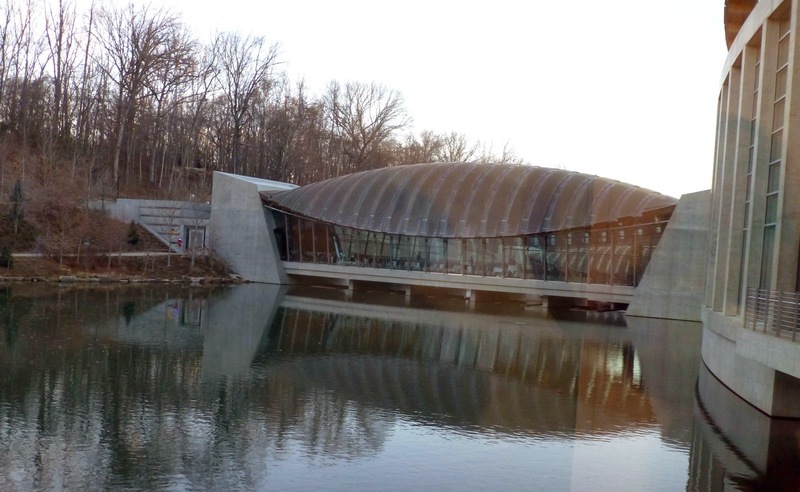 Walton knew museums drew from a 300 mile radius for visitors. If a circle were drawn around each major art center in the U.S., a large blank area existed in northwestern Arkansas and Ms. Walton wanted to change that. 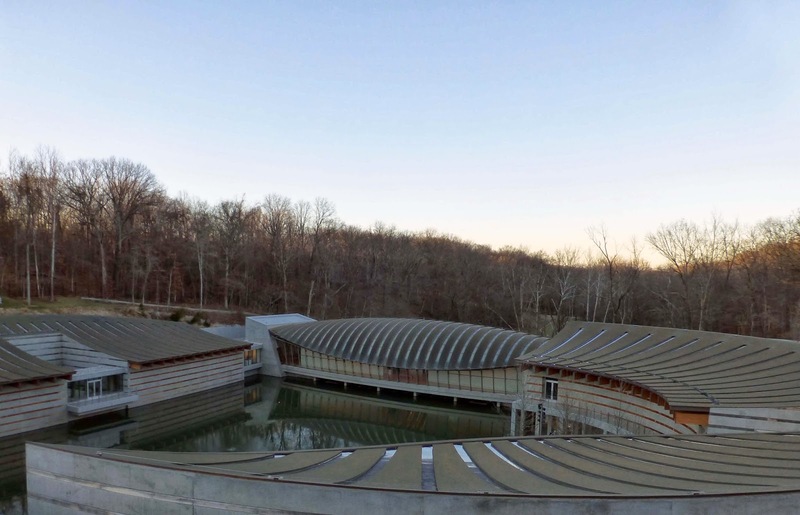 Placed on the 120 acre family home place, Walton worked with architect Moshe Safdie to minimize intrusion of the museum on the beautiful natural surroundings of hard wood forest . They were so successful that I was shocked as I parked on the upper level and walked to the small building above ground. Below, nestled in a ravine, was the complex of five connected buildings, much larger than expected and completely invisible from the road. With glass walls peering into the ponds below, reflections doubled the beautiful late afternoon lighting. From the moment of arrival, I felt Alice Walton’s presence. Entry was free thanks to a $20 million grant from Wal-Mart with only a small cost to view the visiting private collection of Georgia O’Keefe and Alfred Stieglitz. We had dinner reservations at the restaurant Eleven, placed on the bridge across the stream. Soft live music warmed the space. My companion knew the chef and he soon came out to visit. I asked if Ms. Walton ever came to the museum. Quite often, he said. In fact, she would sit down with patrons and visit to be sure they were enjoying themselves. “Did she happen to be here this evening?” “Maybe,” he said. After dining, we joined our guide for an evening tour, a wonderful time to see the museum. Thanks to an endowment of $800 million from the Walton Family Foundation, largest single gift to a museum in American history, Ms. Walton and her advisors have been able to outbid others to present a cogent history of American Art. A few pieces stand out. Straight from the New York Public Library at a reported cost of $35 million is Asher Durand's masterpiece "Kindred Spirits," a mid-1800s ethereal painting of two men on a cliff pondering the distant Catskill Mountains. 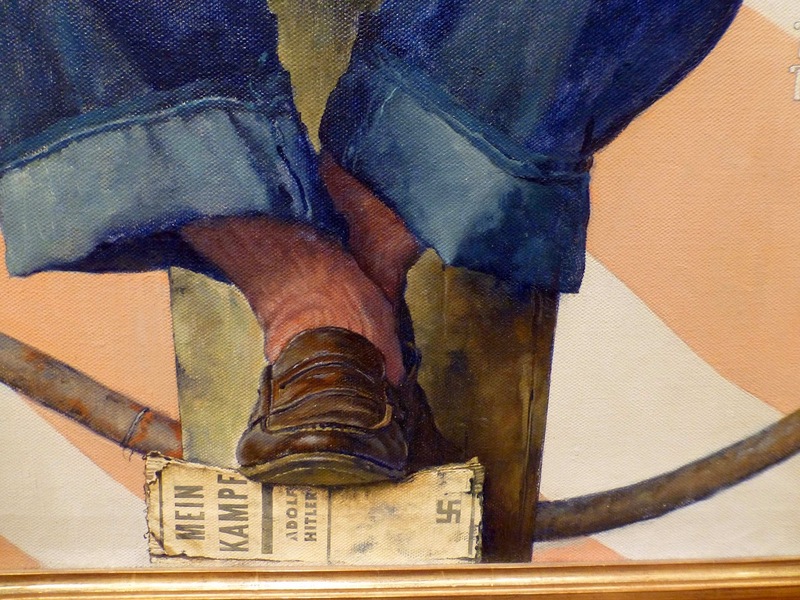 In sharp contrast is “Rosy the Riveter”, a crowd favorite by Norman Rockwall, portraying the strength of America in a single woman worker whose feet push firmly down on Hitler’s Mein Kampf . A new arrival is the realist Edward Hopper’s somber Blackwell’s Island painted with his usual rich colors. I thought it appropriate to display some works of Thomas Hart Benton for whose uncle the town of Bentonville is named. As we were leaving, we walked through a gallery with a show of water colors that had just opened that night. These were from Alice Walton’s own collection which will be permanently given to the museum upon her death. Turning to the gallery’s guard, I asked if Ms. Walton had been there that evening for the opening. He said, “Oh, yes. About 6 pm” - the exact time I asked the chef of her. Plans continue for the site. Our guide announced a recent purchase of a Frank Lloyd Wright home in New Jersey to be dismantled and rebuilt on the grounds. Shows and lectures fill the calendar. Yet the art world buzzes as to whether the museum can become and sustain itself as a big player in America. I can’t contribute to that discussion. But while I missed meeting Ms. Walton, I do know it’s easy to feel her influence and commitment to bringing our country’s art history to those outside the big cities. Paris is 254 miles from Bentonville - just inside that 300 mile circle Alice Walton drew. A four hour drive brings you face to face with America’s art in a stunning setting - not bad for a small town in Arkansas.